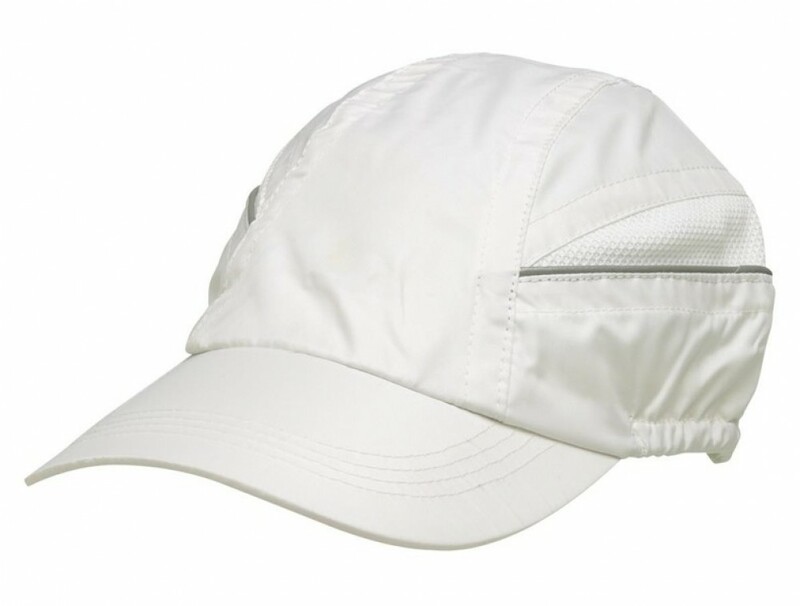 Set off for your golf day or outdoor evening walk looking fresh and cool in a white cap. This design is modern and stylish in waterproof nylon, ideal to keep you dry in the event of a light drizzle. Nylon is a strong and durable fabric that will always retain its shape and never fade. Keep it clean by wiping down with a damp cloth and allowing to air dry. The design of the cap features a contrasting mesh panel fitted into the sides which also allows for breathability and air flow. For safety purposes and to allow you to be seen by approaching motorists on your walk, a reflective silver piping is positioned on the side panels along the mesh panel. Offering caps as free promotional items is sure to attract attention at your trade show or expo stall. They are also ideal to hand out at sporting events and outdoor corporate occasions. Brand them with your unique logo and get exposure in the right circles. Our pricing includes 8k embroidery of your personalised graphic. Embroidery can be done on the peak, sides or back of the cap and embroidery can accommodate multiple colours. A once off set up of $50 applies for orders under 50 units. Delivery of this item is within Australia only.